The Materials Handling Engineers Association was formed to support the technical and commercial interests of UK and overseas companies supplying and using bulk handling equipment. 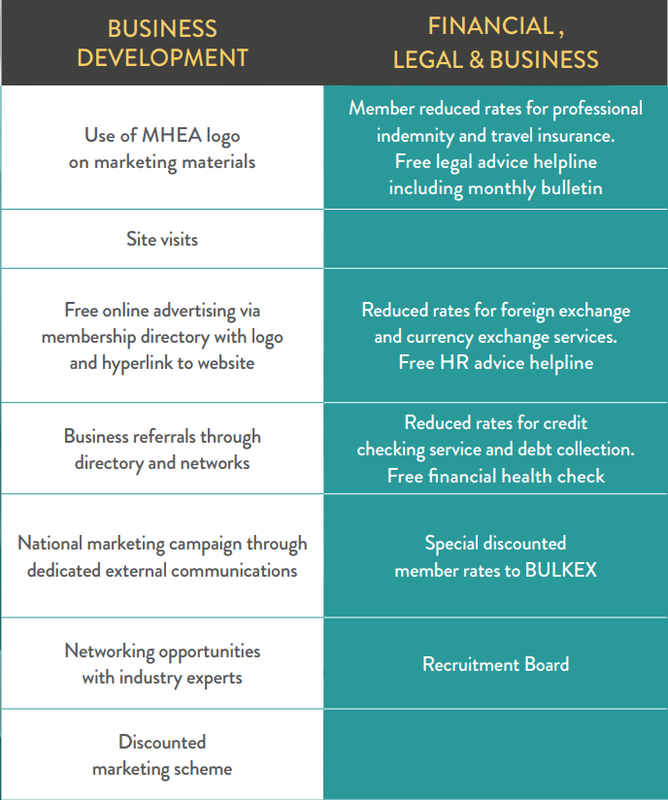 As a collective group of working professionals, the MHEA works on a non-profit basis, entirely in the interest of its members and the industry as a whole. Members of the Association can enjoy being part of a professionally diverse network that includes access to a wealth of business-enhancing resources, industry-level promotion, networking opportunities, representation at events and conferences, knowledge sharing and best practice, education and professional development. MHEA membership is recognised as the mark of quality-managed services. Contact us if you would like to know more about how to access the exclusive benefits, initiatives and events available to our members.